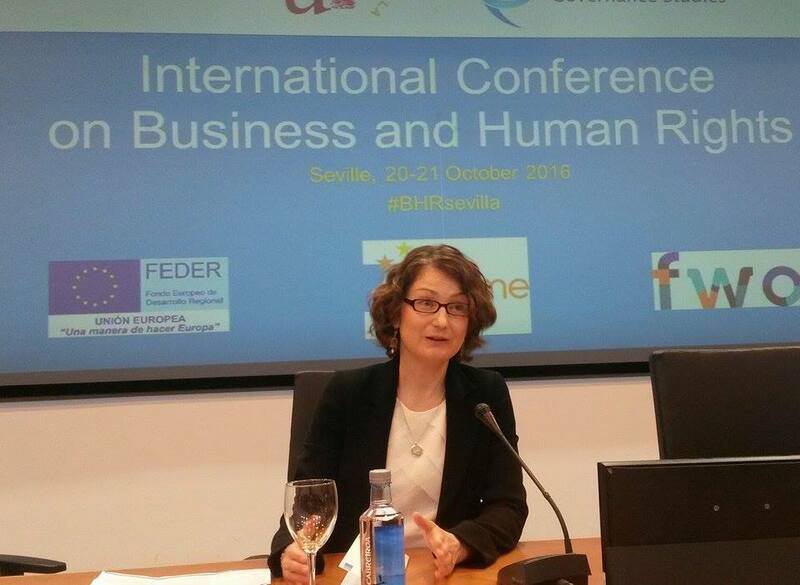 Since yesterday I have been attending an International Conference on Business and Human Rights at the University of Sevilla. The conference is co-organised by the Leuven Centre for Global Governance Studies, the University of Sevilla (Research Project DER2013-41956-P) and the BHRight Initiative. The BHRight Initiative, of which I am a member, is an interdisciplinary academic network of experts in human rights, sustainability and corporate social responsibility that represent a range of social science disciplines, including from law, management and organizational studies, economics, and business ethics. My presentation at the conference focuses on the French bill on corporate due diligence. When he submitted the UN Guiding Principles on Business and Human Rights to the UN Human Rights Council for adoption, John Ruggie, then UN Secretary General Special Representative on Business and Human Rights, noted that their endorsement would mark “the end of the beginning: by establishing a common global platform for action, on which cumulative progress can be built, step-by-step.” (UN Doc. A/HRC/17/31, para. 13). In the absence of clear, practical guidance on how to comply with their duty to protect human rights from corporate abuse, States have reacted to the Guiding Principles in different ways. Some have adopted National Action Plans (see my post on the UK National Action Plan here), of various quality and ambition. Some have adopted laws to encourage corporate reporting, including on overseas operations (see for example the UK Anti-Slavery Act 2015. In this context, one country – France – has seemingly adopted a more radical stance. In 2015, a group of Parliamentarians introduced an ambitious bill on corporate due diligence. Against this background my presentation covers 4 main points: (1) why the bill is important; (2) the background of the bill; (3) the contents of the different versions of the bill; (4) the chances of the bill being adopted. (a) France is the home state of major multinational corporations: Areva, Danone, L’Oréal, Michelin, Renault, Sanofi, Total, etc. (b) The bill was introduced as allegations of complicity of torture against software companies Amesys (see my blog post on this here) and Qosmos are being investigated. In other words, after two decades during which the business and human rights community has focused its attention on Alien Tort Statute litigation in the United States, things are moving forward in Europe, a key development in the field of business and human rights. (c) Although it is not part of a National Action Plan per se, the bill nevertheless fits squarely with the objectives outlined in Pillar 1 of the UN Guiding Principles on Business and Human Rights, on the state duty to protect against corporate human rights abuses. In particular, the Bill is “setting out clearly the expectation that all business enterprises domiciled in France respect human rights throughout their operations” as per Guiding Principle 2. In fact, the first version of the bill was going even further than GP2. The original preamble of the first bill, which was put forward in November 2013, mentions, as justifications for the bill, the Rana Plaza disaster; the UN Guiding Principles on Business and Human Rights; ISO26000; and a groundbreaking 2012 criminal case regarding the Erika oilspill, in which Total was held liable for the acts of its subsidiary on the basis that Total had accepted to control whether the boats of those subsidiaries were fit to be on water. The first version of the bill (Proposition de loi relative au devoir de vigilance des sociétés mères et des entreprises donneuses d’ordre, n° 1519), bill #1, was put forward by a group of Parliamentarians in November 2013. It was not presented to Parliament until January 2015. Companies have the obligation to prevent sanitary and environmental damages as well as damages resulting from human rights violations. The company will be held liable if a damage occurs unless it can prove that it did everything it could to prevent the damage but that despite its vigilance and best efforts, the damage still occurred. This is made dependent on the company’s means and position. In other words, more would be expected of large companies and less of small companies. The bill included a presumption of responsibility for a company if, in the context of its operations, the operations of its subsidiaries and the operations of its subcontractors, that company could not demonstrate that they had adopted all the necessary, reasonable measures they could have taken in order to prevent damages, including damages resulting from human rights violations. This means that if a claim was brought, the burden of proof would have been on the company, not on the claimant. The burden of proof was reversed. The liability could be either civil or criminal (délit). The bill was to modify parts of the French code of commerce that deal with subsidiaries, and there was no threshold specified. The idea was that it would apply to companies that have subsidiaries, irrespective of their size. Bill #1 arrived before the French Assemblée Nationale in January 2015. Rather controversially the Assembly decided to send the text back to one of the Assembly’s committees in order to be further debated and modified. Apparently the reason for this was that the then new minister of the economy Emmanuel Macron (who has now resigned) was against it. In a nutshell, the work of the committee resulted in the death of bill #1. What emerged out of the work of this committee is bill #2, which was put forward on 11 February 2015. In bill #2, the general principle that companies have an obligation to prevent damages is gone. Instead what we have is an obligation to produce and publish a “plan de vigilance”, a sort of due diligence report for companies. Only companies that are of a certain size are covered. NGOs have noted that this means about 120 companies. That report (plan de vigilance) must detail the measures that the company has taken in order to identify and prevent human rights and environmental risks resulting from the company’s activities but also the activities of its subsidiaries (that it “controls”) and the activities of its subcontractors and suppliers provided that they have “an established commercial relationship”. 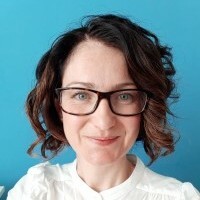 The notion of established commercial relationship means that in case a French company contracts with a supplier in a one-off deal, they have no obligation to include that in their report. In practice this means that one of the two French companies who were associated with the Rana Plaza disaster in the sense that clothes with labels from these brands were found in the debris, namely Auchan, would not in that case have been caught by the law. The order was for a million items but it was a one-off. That report must be published. Any person who can prove that they have standing can go to court to ask the company to adopt the report and/or to publish it. If the company doesn’t comply, there can be a fine of up to 10 million euro. Arguably the core point is that if a company hasn’t produced this plan, or if it’s not good enough, that fact can be held against it in case it is being sued for damages. However, while in bill #1 the burden of proof fell on the companies (they had to prove they had done everything they could to avoid liability), bill #2 changes this by putting the burden of proof on the claimants. There is no presumption of responsibility. Claimants have to prove a fault, a causal link between the fault and the damage they have suffered. Under bill #1, a causal link was necessary as well but it was less difficult to establish for claimants because the company had to prove that it had done everything it could to prevent the damage. In March 2015, bill #2 was adopted during the first reading at the Assemblée Nationale, the lower chamber of Parliament . However, in November 2015, the Senate rejected this version of the bill. Following the normal legislative procedure, the bill was sent back to the Assemblée Nationale, where one committee worked on it again. No real change emerged from that process. In March 2016, the Assemblée Nationale adopted bill #2 again during the second reading of the bill. Following French law making procedure, he bill was sent again to the Senate. On 13 October 2016, the Senate adopted a modified version of the bill, bill #3. Bill #3 has little to do with previous versions. The Senate has transformed a bill that was supposed to enhance corporate legal liability into a bill which main aim is to transpose the EU directive on non-financial reporting. The bill is now about producing a report, and it includes the possibility to force companies to do it but crucially there is nothing about damages and victims of human rights violations. The report, or poor report, or absence of report, will not be taken into consideration to establish responsibility in case a damage occurs. In short, the core aspect of the bill, corporate liability for human rights violations, is gone. We’re now in a situation where the Senate and the Assemblée Nationale are in disagreement since they each adopted a different version of the bill (bill #2 in the Assemblée Nationale, bill #3 in the Senate). As per Article 45 of the French Constitution, a Commission Mixte Paritaire has now to be set up. This is a special parliamentary committee made of members of both chambers to try to find a compromise. If a compromise text is adopted, the government can present it to both chambers for adoption. If no agreement is reached (which is likely considering the current position of the Senate) or if, following its presentation to both chambers, the compromise bill is rejected, the Government may send the bill to the Assemblée Nationale whose vote then prevails over the Senate’s. This is normal procedure to avoid legislation being indefinitely bounced back and forth between the two chambers. If this route was to be followed the Assemblée Nationale would vote on either the compromise bill, or bill #2, i.e. the latest text the Assemblée Nationale adopted. The problem is that there are only a few months left for the bill to be adopted as it is likely that the current socialist government will lose the general election of June 2017. The French MP who has taken the lead with this bill gave an interview last month in which he discussed the likelihood of a meaningful bill being adopted. Apparently, he has received assurances from the government that their plan is to see this bill adopted by the end of 2016.